Item # 309522 Stash Points: 3,195 (?) This is the number of points you get in The Zumiez Stash for purchasing this item. Stash points are redeemable for exclusive rewards only available to Zumiez Stash members. To redeem your points check out the rewards catalog on thestash.zumiez.com. 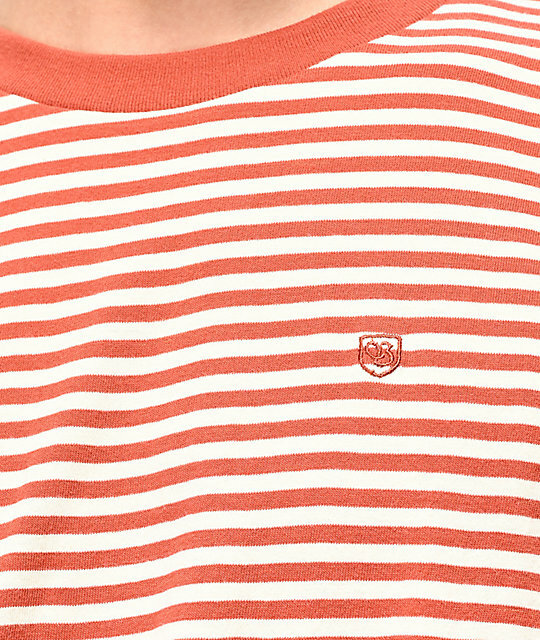 Add some additional comfort and warmth to your shirt collection with the Brixton Pablo Orange & White Striped Knit T-Shirt. 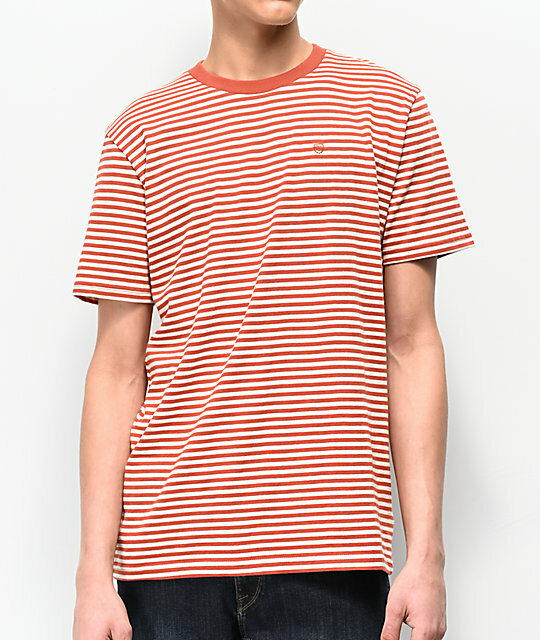 Featuring a thick knit construction, this shirt is extra cozy, while the orange and white horizontal stripes throughout provide striking color and pattern, fit for all your favorite casual looks. 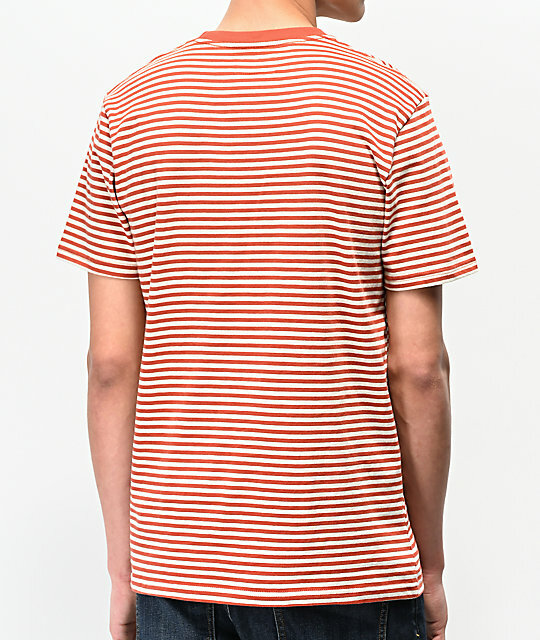 Pablo Orange & White Striped Knit T-Shirt from Brixton. Orange and white horizontal stripes throughout.